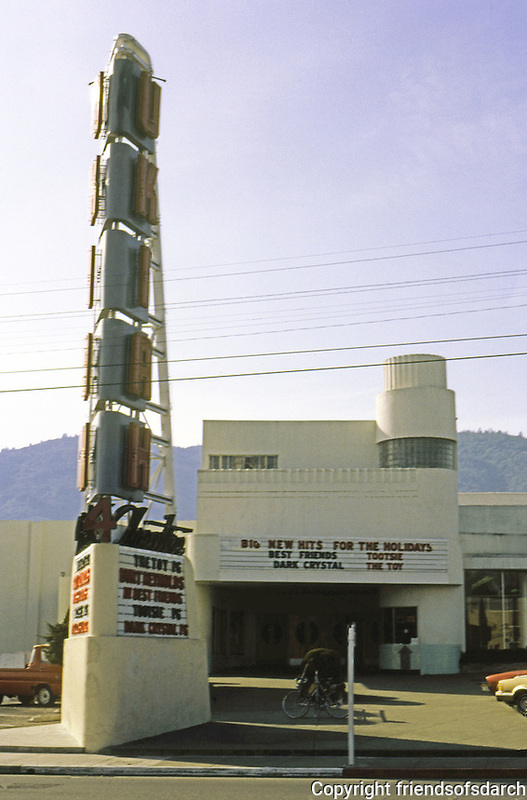 Movie Theatre: Ukiah Theatre, c. 1935. Sign & building behind. Photo '83.